Are you a fan of fiction? Nonfiction? Both? I tend to be attracted to literary fiction (especially by women), vegan cookbooks and décor books. But, let's be honest, there aren't too many types of books I'll pass up. I have received several interesting new nonfiction books over the past couple of months and I want to share a handful of them with you today. I think they all make perfect reads for summer. The great thing about nonfiction in summer is you can pick up a book poolside or at the beach or on a patio or any time you have a few minutes and read one page, one chapter or the whole book - whatever you have time for. It won't require a ton of concentration and you learn as you go, in snippets. 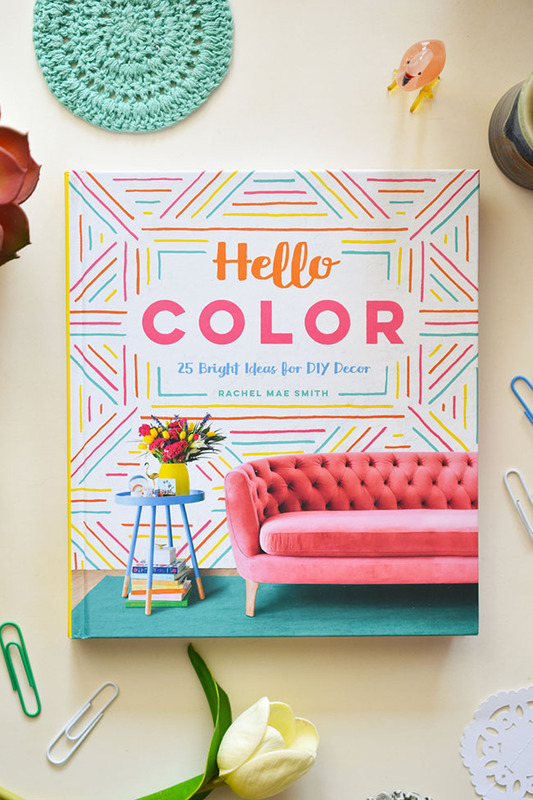 Hello Color: 25 Bright Ideas for DIY Décor is as colourful a book as you might expect, given the title. Rachel Mae Smith of The Crafted Life offers beginner crafters 25 easy, fun home decor projects for a more vibrant home. She shares her signature style in each simple and fun step-by-step project, like Dip-Dyed Napkins, Pom-Pom Votive Candle Holders and Geometric Patterned Pillows. Each chapter centres on DIY items for different rooms, including the living room, kitchen, dining room and bedroom. There's wall art, coasters and planters for the living room, vases, napkins and centrepieces for the dining room and colour-blocked trivets for the kitchen. All of the projects are bright, cheery and on-trend. They are all manageably simple too, so you can whip together a fun creation when you have a couple of spare hours on the weekend. 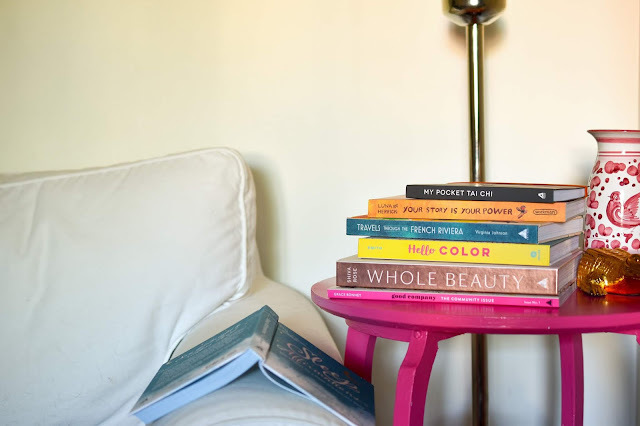 Hello Color also offers useful decorating tips, like how to stage a beautiful bookcase and how to create a pretty and functional bar cart. Plus ideas for entertaining, and a guide to shooting pictures of your handmade creations. This book would make a great gift for anybody in your life who needs a boost of extra colour - including you! A decade ago, after suffering from life-threatening autoimmune disorders, actress Shiva Rose sought a holistic way to natural health and beauty. Whole Beauty: Daily Rituals and Natural Recipes for Lifelong Beauty and Wellness is her guide to following a whole beauty practice at home. There are recipes for facial serum, masks, exfoliants and hair-care products. Rose also explains Ayurvedic practices, including dry brushing and oil pulling. She shares home-cleansing rituals like smudging with burning sage. There are a dozen tonics and a chapter on the use of essential oils for body and home. Whole Beauty offers information about crystals, guided meditation, chakras and yoni eggs (that last one was an eye-opener for me!). 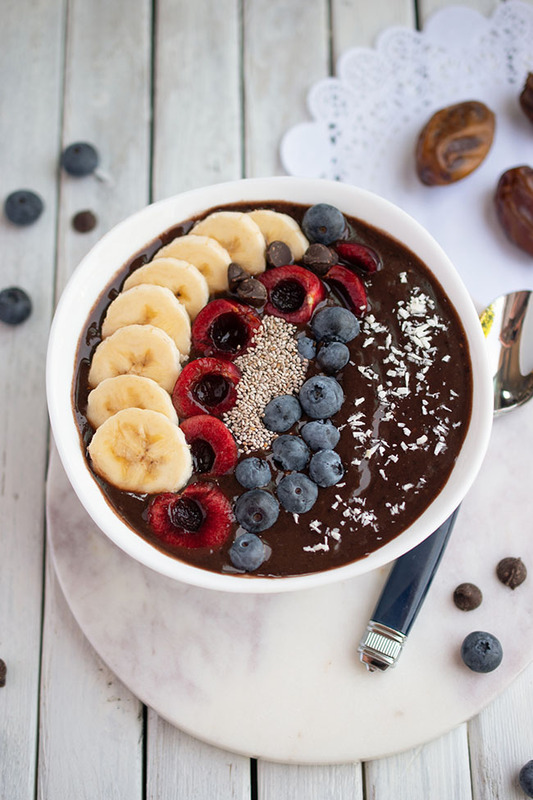 There are recipes for golden milk, magical matcha and a daily detox tea. It's such a beautiful and inspiring book, I think you'll feel increased wellness just reading it, even if you don't end up using any of the recipes or ideas. Whole Beauty is a great read for a mama who needs a bit of self-nurturing or any woman who would benefit from self-love (in other words, all women). 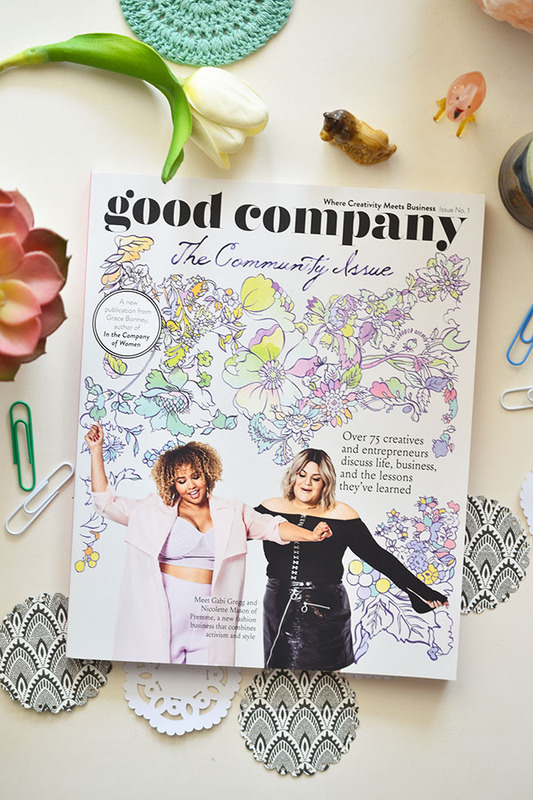 Good Company (Issue 1): The Community Issue is a new publication from Grace Bonney, author of In the Company of Women: Inspiration and Advice from over 100 Makers, Artists, and Entrepreneurs and founder of Design*Sponge. In this new magazine, over 75 creatives and entrepreneurs discuss life, business and the lessons they've learned. Good Company seeks to provide motivation, inspiration, practical advice and a vital sense of connection and community for women and non-binary creatives at every stage of life. Content includes first-person essays and pep talks, studio visits and interviews and group discussions. From Bonney's editor's letter: "We'll look at the ways people within the creative world have banded together to create safe, supportive, and inspiring spaces. We'll look at how they're transforming representation in the media. And we'll talk openly about the importance of community health, both mental and physical." 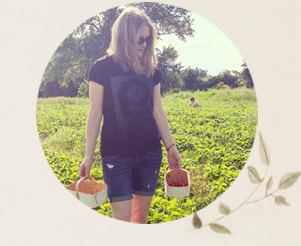 Shauna Ahern writes about the early days of blogging and how dramatically things have changed. Cheryl Day and Krystal Mack are both bakery owners. Together they chat about what inspires them and what a day in the life of a hard-working entrepreneur looks like. Rebekah Carey writes about the changing face of stock photography and how photographer Brittani Sensabaugh and CreateHER Stock's Neosha Gardner work to increase representation of people of colour in stock photography. Author Emma Straub talks to women who are changing the world of bookstores. In other words, it's interesting stuff that you probably won't find anywhere else. Good Company will open up your world (and your mind) a little bit. Travels Through the French Riviera: An Artist’s Guide to the Storied Coastline, from Menton to Saint-Tropez marries a watercolourist's sketchbook and a traveler's guide. 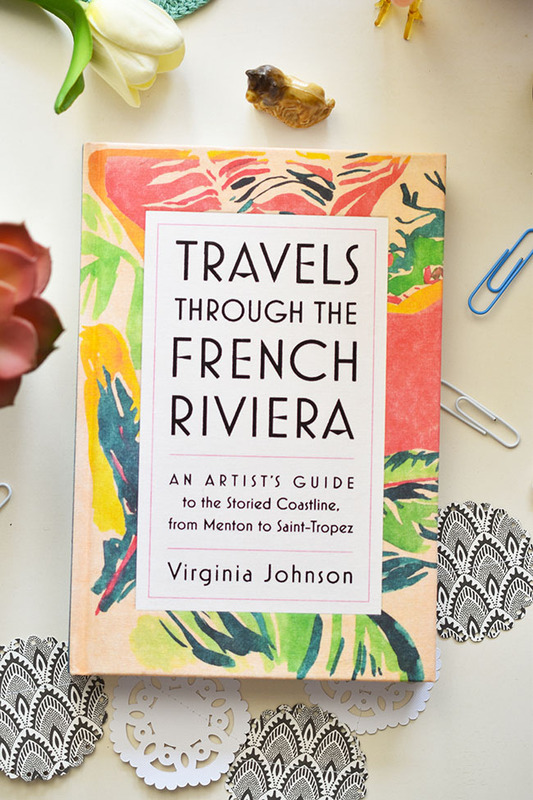 Torontonian Virginia Johnson, an artist and textile designer, captures the magic of the famous French Riviera, walking the Promenade des Anglais in Nice, shopping for handmade sandals in Saint-Tropez and visiting the Madoura workshop in Antibes, where Picasso discovered his genius for pottery. A former design assistant at Helmut Lang and illustrator for Kate Spade, Johnson was inspired to write and illustrate Travels Through the French Riviera by a little villa perched high on a cliff in Saint-Jean-Cap-Ferrat. The villa "embodies all that is wonderful and sublime about the South of France and everything the Riviera is known for: the light, the colours, the art, the dazzling views, the sea, the absurd beauty, the history, the good things in life. It exudes happiness." Travels Through the French Riviera traces Johnson's favourite itinerary from Menton to Saint-Tropez. "My hope is that Travels Through the French Riviera will provide you with a loose guide to one of the most gorgeous coastlines on earth," she writes in the preface. "All of my favorite places to visit (and sketch) are here - whether you go for three days or two weeks." Even if you just travel to the French Riviera in your mind, through the pretty, softly hued watercolour illustrations and the accompanying text, you'll get to soak up some of the history and intrigue of the region. 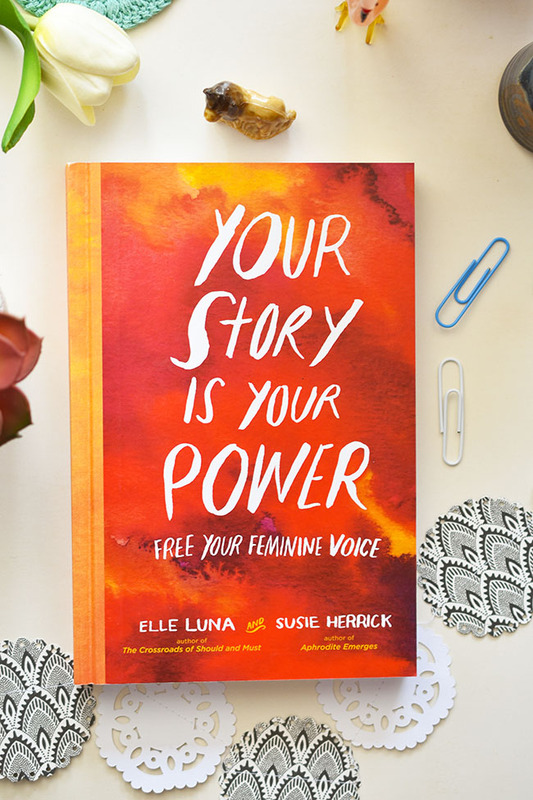 In Your Story Is Your Power: Free Your Feminine Voice author and illustrator Elle Luna and psychotherapist Susie Herrick aim to empower women to uncover their own stories in order to live more confident, unapologetic lives. The premise goes that through examining our histories, we can positively change how the future unfolds. Your Story Is Your Power is like a guided introspection, encouraging us to examine the influences that have helped to form the way we think and engage with the world. There are a series of exercises to help female readers identify and understand how we are shaped by family, cultural stereotypes, personality types and more. The book opens with a look at the fairy tales we're exposed to at a young age and how advertising tries to dictate our beliefs. "From a very young age, girls are exposed to countless messages that reinforce this notion that men are the "head of the house" and women must obey. As a result, men are given more resources, have more cultural authority, and are not held to the same cultural expectations as women." Even if that's not true in your household, you gotta admit this is definitely still going on in the worlds of work and politics. After you uncover a bit about your own background, motivation and thought processes, the book offers up ideas for extending more love to yourself and others and advocating for women in the world. I've never actually tried tai chi. Have you? 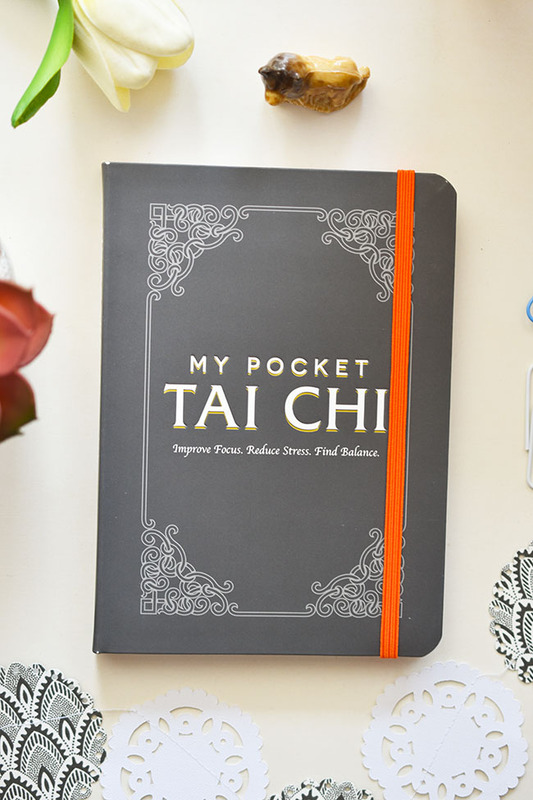 That's why I'm all the more interested in this little book - My Pocket Tai Chi: Improve Focus. Reduce Stress. Find Balance. I think it would be fun to try out the practice of tai chi gently in the comfort and privacy of your own living room. Tai chi is an ancient movement activity that can help you reduce stress, improve your health and relax your body. You can do it for free and it's great for all ages and activity levels. My Pocket Tai Chi fits a lot of information into a small guide. It defines tai chi, traces its roots, outlines four different branches, shares specific benefits (like straightening your posture), guides you through creating a space for tai chi (lighting, air quality, preparing your mind and body) and finally, illustrates specific warm-ups, stretches and stances. My Pocket Tai Chi offers a thorough introduction to the practice and could have you wanting to join a group of tai chi enthusiasts in no time! Not being able to fall asleep is the worst. As is waking up and not being able to get back to sleep. If you have a crying baby who wakes you up, that's one thing - it's completely unavoidable. Baby needs to eat. But if you have no pressing reason to lie awake replaying all that's wrong with your life, you might want to try out Sleep Affirmations: 200 Phrases for a Deep and Peaceful Sleep . 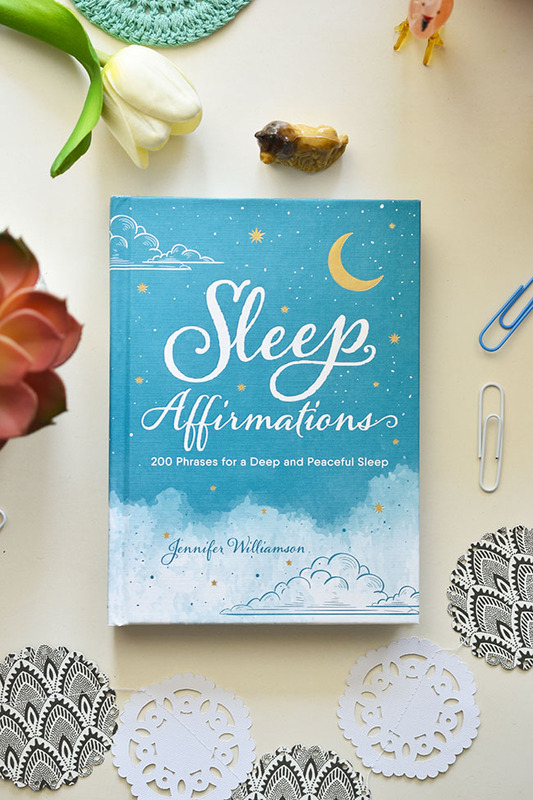 Jennifer Williamson shares 200 positive affirmations to help you visualize and invite restful energy to lead you to a peaceful place and wake up in the morning feeling refreshed in mind, body and soul. 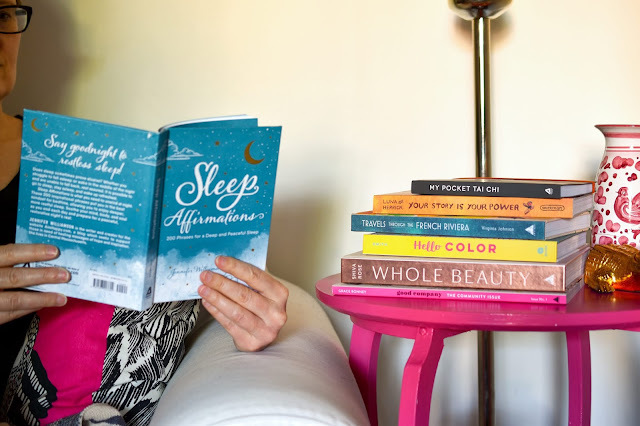 "'I can't sleep' and 'I love sleep' are both affirmations, but the first one highlights what you don't want, while the second one asserts what you want more of," points out Williamson in the introduction. "As your affirmations become more mindful, your energy will start to resonate more deeply with the experience you want - in this case, peaceful sleep." She has advice for how often to repeat each affirmation, how to anchor the affirmation in your body, how to embody the energy of the message and how to combat resistance. Simple yet powerful affirmations include, "I sleep in pure positive energy" and "I forgive and let go." All of these new nonfiction titles are alike in that they are educational while still being entertaining and fun. They all aim to contribute to the reader's wellness of mind, body and/or spirit, whether by inviting some colour into your world, by encouraging self-reflection or by inviting new and interesting pastimes. Do any of these books resonate with you? Are there any of these topics/ideas that you'd like to learn more about? What kinds of books do you enjoy reading in summer? 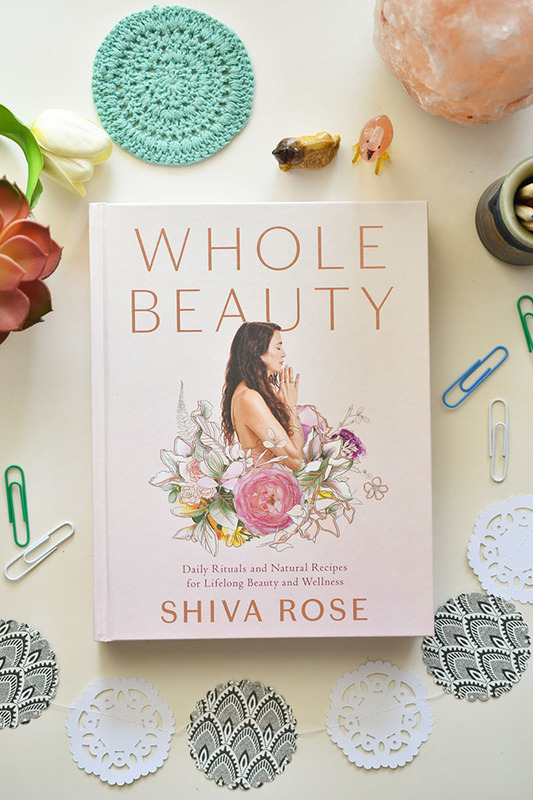 Thomas Allen & Son is giving one lucky Woman in Real Life reader a copy of the gorgeous book Whole Beauty by Shiva Rose. Enter below until July 30th. I love reading any type of fiction during the summer. I love a good mystery or romance. I like reading mystery novels or YA romance! I mostly enjoy reading mystery novels! I like to read fantasy novels and non-fiction DIY! I love to read fun fiction that will make me smile or laugh. oops pressed enter to soon.... but I like to read just about anything, except horror. I love to read every day! I love reading ANY kind of books in the summer. I am a voracious reader. I love reading something romantic! I read a lot of novels, all year round -- everything from romance Chick Lit, to thrillers and mysteries. Love them all !! I prefer quick reads in the summer. I like to save the novels for winter when I have more time. I love books I can power through in 1 day. I can never put a book down once i start. I enjoy reading contemporary romance books.